A couple of months ago, we wrote about maximizing the value of data with ontologies. Expressive ontologies enable smarter applications than those built with taxonomies, thesauri, or conceptual models. However, the difficulty of building and maintaining ontologies has prevented their adoption. We have changed that. The traditional ontology-building process for a specific domain is time-consuming and tedious. Typically, a group of experts for a domain will begin by identifying the classes (the concepts in the domain at hand) and subclasses of interest. While this seems straightforward at first glance, think about the complexity of an everyday car. You need to capture every aspect of the vehicle: from engine and transmission to electronics and seat coverings. The classes and subclasses then need to be organized in a taxonomic hierarchy with their relationships identified and defined. In order for the ontology to be considered authoritative and correct–and thus usable–there must be consensus among the participants. The larger the group and the greater the diversity of disciplines and specialties involved, the harder this becomes. Human knowledge is often implicit and hard to describe in formal models, and there is no single correct mapping of knowledge to discrete structures. Even in smaller organizations, it often takes many experts months to create a domain ontology that is coherent and useful. And adequately maintaining it becomes a full-time commitment. Think of the “proto-ontology” as an advanced outline of an in-depth paper with the main points, concepts and relationships represented logically. For some, this kind of knowledge representation could meet their needs, while most need to flesh it out. Akin to using an outline as the springboard to craft sentences and paragraphs, a small team of experts now steps in to edit the “proto-ontology” to finalize a full-fledged ontology. This team can focus on the qualitative aspects of the ontology because the challenging and laborious part is largely complete. Maintaining an ontology also becomes easier. Using the same method, a user can process new documents with the Kyndi Platform and add the additional “proto-ontology” output to their existing ontology. Merging the new output with the existing ontology is effortless because of our software’s contextual understanding of the material and our reasoner’s recall of the previous ontology generation effort. With our unique approach to automated ontology generation, Kyndi opens up a world of possibilities to create and realize value from knowledge. More importantly, we make it possible with minimal resource and time commitments from you. 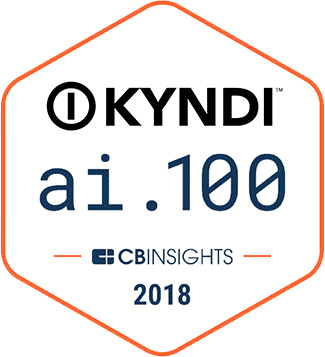 « CB Insights Unveils Second Annual AI 100 Companies at A-ha!